"New ideas in dental care"
Dentist at Work is a brand new dental fair that highlights the latest innovations in dental care. Dentist at Work is a new concept where dental professionals can discover new or innovative dental products & services in a short period of time, due to the innovative design of the exhibition hall. Exhibitors can only participate with products that appeared on the Belgian market since January 2016. 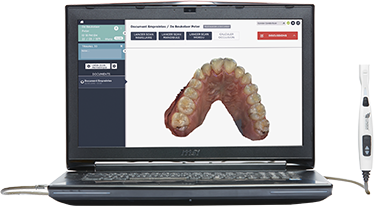 Come visit Condor at Stand 522 to join a live scan demonstration, or have a chat with one of our representatives to learn more about the Condor Intra-Oral Scanner. Are you interested in becoming a Condor Mentor, a Condor Ready Lab, or do you want to benefit from our limited offers for early adopters? Our representatives will be happy to discuss all the details of our customer programs with you.